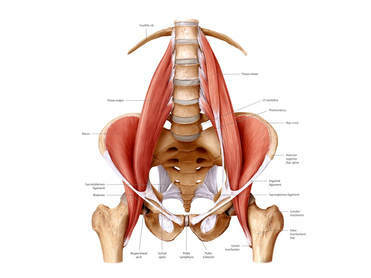 Psoas muscle is a primary culprit for muscular dysfunction/pain. It gets old spending money on treatments that don't move the needle on your given circumstance. For this reason we have opened up three offers for our Nurture & Mend Comrades. ​(hence this page is hidden from those without this link directly). Regardless if you are in pain, coming in post-surgery, have restricted function or simply curious what myofascial release and trigger point therapy have to offer? This is your risk-free opportunity to determine if our therapy and style is right for you? Manual Therapy offers active release techniques, myofascial release, trigger point therapy and customized techniques invented by Brandon Trean after 9 years of active practice. We look forward to working with you and expanding your body awareness. In a nutshell we are extending the biggest reduced rate we've ever done for your first time session ^_^. "Brandon is exceptionally skilled at his craft, and a phenomenal myofascial release therapist. ​He is devoted to ongoing research and skill development in order to offer his clients his absolute best work in every session. He clearly cares about this client's well being and puts great intention into making sure every session is specifically effective for your needs. I personally have benefitted very much from his work, and he often discovers areas that need attention that I wasn't even aware of until they felt much better, thanks to his thorough and effective treatment. If you're looking for excellent bodywork, give Brandon a try, you'll be glad you did!" The actual report has clickable links and distinct video recommendations that apply to your tissue findings, goals and any symptoms you may be experiencing so you can be more empowered in your optimal health strategy! Please do not call, just text (208) 870-9753, e-mail or use the online scheduler to schedule ^_^. Even if you don't have pain or restriction and you want to see what our studio has to offer by all means schedule your session ^_^.